view the sun through my Coronado PST so they could see more than just a bright yellow circle in the sky. I prefaced the viewing with a presentation on what the sun is; how it operates; its size, distance, temperature, and power; and what they would see when looking through the scope. 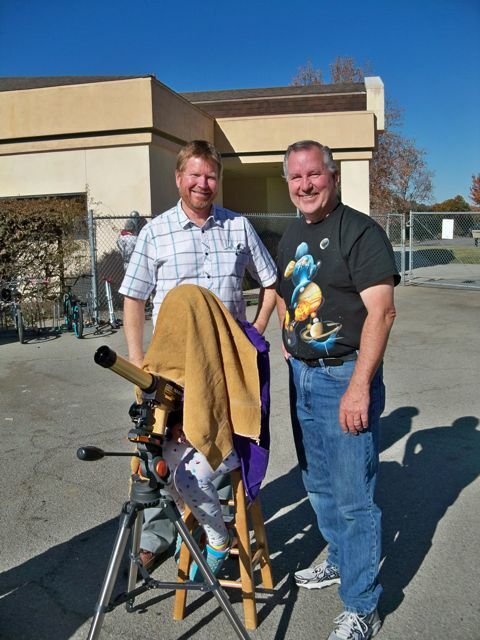 I was careful to emphasize that they should never look at the sun without proper equipment. 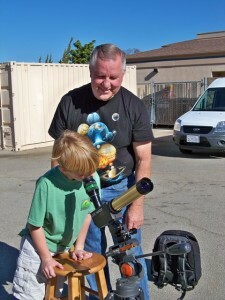 I also gave them a brief overview of how the solar telescope works before we went outside to take in the sights. I was amazed at how well the students received all the information I presented. They were attentive and asked many great questions as we went along. As a retired teacher, I was thrilled by the experience. The old teacher juices were flowing at full force, even though I was a high school teacher with very little (let’s say none) 3rd grade teaching experience. Mr. Eaton managed the class excellently and sent 5 students at a time to view the sun while he kept the rest of the class busy with science videos of lightning pictures taken from the space station and of the size of the universe. He was a pleasure as a partner in this process. 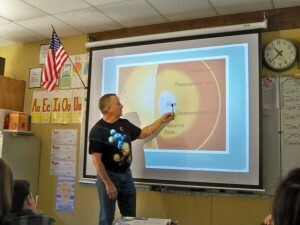 Part of the presentation explaining the internal workings of the sun. Another student checking out the sun. I used the towel as a light block so students could see more clearly. Some students didn’t need it. 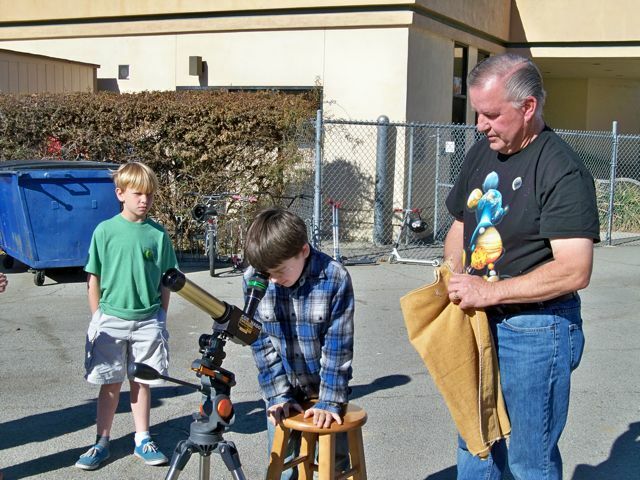 One of the students getting his first glimpse of the sun and a solar flare. 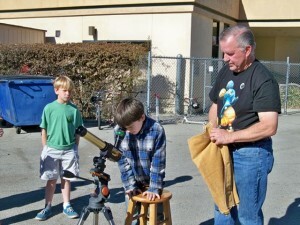 Mr. Eaton (left) and I stand by as another student gets a good view.